The IPL auction marks the beginning of the IPL season every year and it has been as fascinating as the tournament itself ever since the very first season of the IPL. Over the 11 year rich history of the auction, various franchises have surprised the cricket fans with their decisions. While some franchises manage their purse well along with executing their plans, some others empty their purse to buy a particular player. Each and every year not only the players sign multi-crore deals with the franchises but add a lot of pressure on themselves along with the added responsibilities and expectations. Although many of them live up to the expectations of the fans and the franchise owners, some fail to cope with the pressure. In the IPL auction 2014, Kolkata Knight Riders secured the services of one of the finest all-rounders in the world for Rs 5.5 crore. The team had released Kallis ahead of the auction but retained him using Right to Match card. 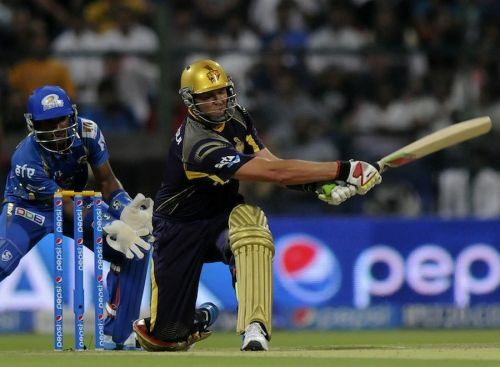 Kallis who had an above average season playing for the same team in 2013, failed for KKR this time.